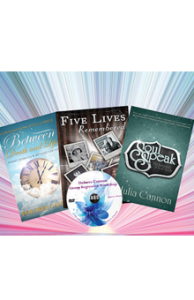 QHHT® is a proven method of hypnosis for healing, past life regression and the study of reincarnation. Quantum Healing Hypnosis Academy is now offering students the opportunity to learn Dolores Cannon’s unique Quantum Healing Hypnosis Technique℠ Level 1 Course in a new and exciting online format. Online learning provides you the ability to take this course in the comfort and convenience of your own home at a pace that is conducive to your lifestyle and is a perfect option for students who are unable to travel or take time off to attend one of the live 6-day QHHT® Level 1 Courses. You will be watching a series of high definition, professionally edited recordings of 3 full days of teaching by Dolores at one of her live QHHT® Level 1 Courses. This recording shows Dolores teaching and discussing every aspect of her QHHT® technique to a live class. The course has been designed to give you the feeling of sitting in the audience and actually participating in the class itself. The course entails approximately 23 hours of video that is broken down into 17 parts. Each video consists of Dolores intimately describing and teaching one of the various successive stages of her QHHT® technique. All course materials are available as digital files in the course. You will not receive any materials in the mail. QHHT® Resource Library: Contains all documents and a complete recording of a previous Level 1 course so you can re-listen to any parts of the course that you may want to go over again. Also contains recordings of sessions Dolores has conducted with former clients. The Resource Library is made available after you pass the online course. Once you begin the course you will have to watch each part in the order it is presented. To ensure the course is taken in the hear fashion it is intended to be taken in, it will not be possible to skip to different sections of the course until you have completed all prior sections. It is recommended to complete the course within two weeks. You will have access to the course for 60 DAYS or until you pass the exam. The exam is at the end of the course and you must pass with an 85% or better in order to receive an official certificate of completion. You will have 3 opportunities to take and pass the exam. If you are paying attention, you will have no problems passing this exam. Once you have passed, you will receive an email invitation for a 30 day free trial to our online QHHT® Official Global Forum. The cost of the Online QHHT® Level 1 Course is US $997. No refunds will be issued once you have started Video 3 of the course. A $100 administrative fee will be kept for anyone seeking a full refund. Payment options are available, but the course must be paid in full before you receive access. To set up a payment plan please contact info@qhhtofficial.com.